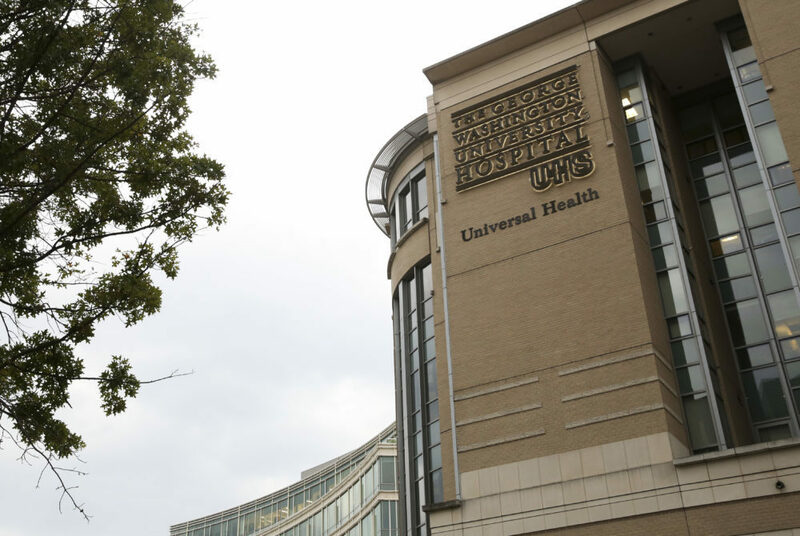 A lawsuit filed last week in the D.C. Superior Court alleges that doctors at GW Hospital failed to conduct tests and procedures to monitor a patient's "ever-worsening" condition after spine surgery. A medical malpractice and wrongful death lawsuit filed in the D.C. Superior Court last Wednesday claims doctors at GW Hospital could have prevented a patient’s death after a spine surgery. The 10-page claim alleges that the Medical Faculty Associates, GW Hospital and Warren Yu – the hospital’s director of spine surgery – proceeded with a surgery in 2015 without considering the patient’s health risks and then failed to properly monitor her “ever-worsening condition” after the operation. Their actions, the suit claims, contributed to post-operative complications and the patient’s death. Sedrick Drayton, representing his deceased mother, Lillie Ann Drayton, in the suit, is asking the court to award him $15 million in punitive damages. “Defendants’ conduct … was outrageous, grossly fraudulent, grossly negligent and/or reckless towards the safety of decedent Lillie Ann Drayton and the community,” the suit states. The claim states that Drayton was admitted to GW Hospital March 24, 2015 for a spine surgery after the operation had been delayed by a month because of a skin infection. On the day of the procedure, Drayton’s white blood cell count was higher than usual and steadily rising – an indication of an infection, according to the suit. Despite the high white blood cell count and Drayton’s multiple other health risks, including the recent skin infection, hypertension, morbid obesity, diabetes and recurrent blood clots, Yu went ahead with the surgery, the suit states. The doctors also allegedly did not schedule a timely MRI scan, which would have detected a spinal epidural abscess, an accumulation of pus that compresses the spinal cord. The failure to diagnose and treat the abscess led to Drayton’s paralysis and other post-operative complications, eventually contributing to her death, the suit states. The plaintiffs also allege that the hospital did not notify Drayton of her paralysis and did not inform her of “material facts” relating to her treatment, which would have prevented the injuries and damages listed in the lawsuit. Drayton died of a brain injury after suffering cardiac arrest, which the defendants claim occurred because of a blood infection that arose at the site of the surgery. “As a direct and proximate result of the occurrence, decedent sustained injuries which caused excruciating pain, mental anguish, suffering, paralysis, disability, damages and death,” the suit reads. Neither Susan Griffiths, a spokeswoman for GW Hospital, nor Iris Green, the attorney representing the decedent and her son, returned requests for comment. An initial scheduling conference is expected to occur Sept. 21, according to court documents.